Vladimir Putin received President of South Ossetia Leonid Tibilov at the Kremlin. 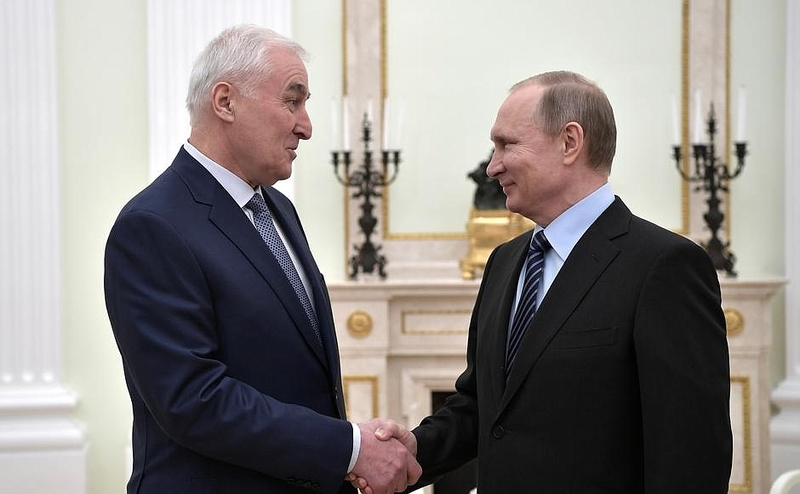 President Tibilov is in Moscow at the Russian President’s invitation. 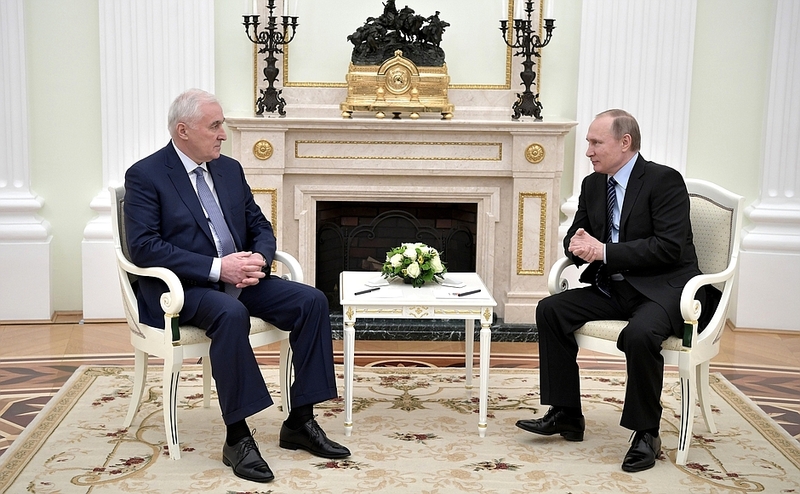 Vladimir Putin had a meeting with President of South Ossetia Leonid Tibilov. The discussion focused on the prospects for developing bilateral relations, primarily in the socioeconomic field, and the upcoming elections in the Republic. Also addressed were security issues in the Trans Caucasus Region. Mr. Tibilov, I am very glad to welcome you here. Russia and South Ossetia have built truly allied bilateral relations. We develop our relations on the basis of our basic Treaty; in addition, we have signed documents on various sectors – all of them are being implemented, on the whole. As always in a large-scale effort, there are issues that require our special attention. We are generally pleased that the situation in your country is stabilizing. We can even say it has stabilized now. Along with issues of security and greater defense capability, the agenda certainly includes socio-economic issues such as improving the standard of living. I think we will mainly concentrate on this during our conversation today. I am referring to the most important domestic political event, the presidential elections in early April. By the way, I wish you good luck. I hope the voting will proceed in accordance with the current constitution, in strict compliance with the laws of South Ossetia, and will ultimately lead to a new, favorable environment for development. Vladimir Putin and President of South Ossetia Leonid Tibilov. Good afternoon, Mr. Putin. I am happy to have this opportunity to meet with you. 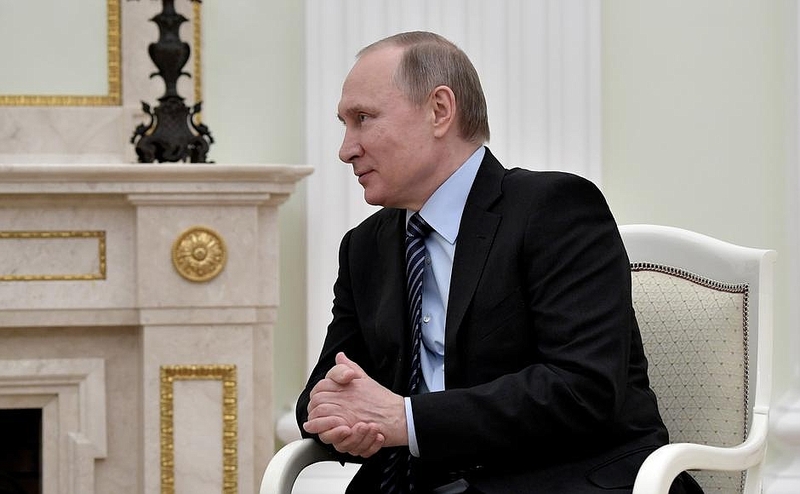 First of all, I would like to note that since March 18, 2015, when we signed the Treaty on Alliance and Integration, we have developed a tradition to meet almost annually to discuss various aspects of the bilateral agenda, including, of course, our alliance and development, as well as integration between South Ossetia and Russia. Today, I would also like to say that major and successful work has been done over these two years to implement the Treaty: it is filled with new agreements, many of them are already in effect, and the people have already felt the results of these agreements. You know, these agreements are not just about a specific area of work: they also mean security, confidence in the future, continuation of work on the country's socio-economic development, and cooperation in the humanitarian sphere. I often recall our first meeting, when I just started working. I remember that I spent a month in office, and the picture that I had ‒ the state of affairs in South Ossetia ‒ was, of course, appalling. Five years later, summing up the results, I can say responsibly that with the full-scale assistance provided by the Russian Federation, South Ossetia has changed for the better. I can specifically say that the city of Tskhinval, the capital of our republic, and other towns and villages and regional centers have changed, and the people already have a different outlook on life, whereas our interaction and cooperation with our colleagues from Russia and relevant experts in numerous programs, including investment programs, has yielded a tangible result. Today, we can already talk about hundreds of square meters of new buildings, new roads and social facilities in our republic. These are all tangible results. Of course, we owe all of that to great Russia. Mr. President, I would like to express my gratitude to you personally for the trust that I received over the years. Today, I can confidently say that all the help that went to South Ossetia always found its target. This, I believe, is important, and I always considered this to be the most important thing in my work. Thank you very much. I wish good health and prosperity to great Russia! 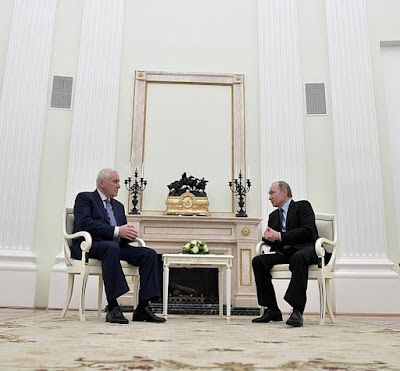 Russian President Vladimir Putin at the meeting with President of South Ossetia. 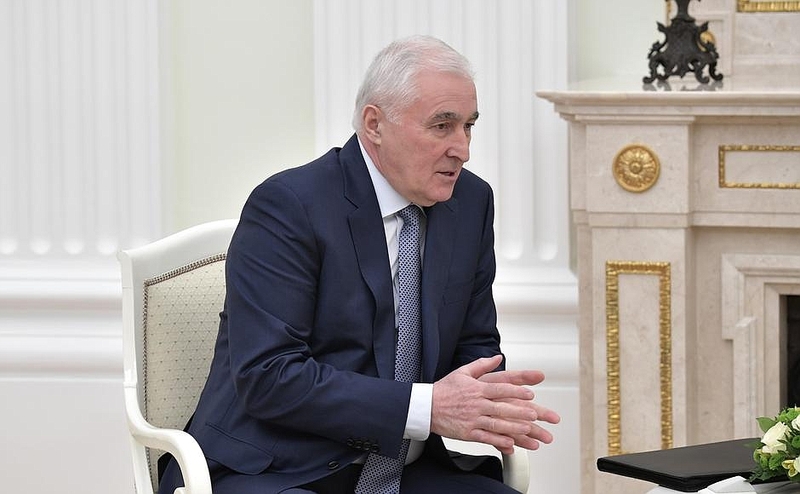 President of South Ossetia Leonid Tibilov. 0 Comment to "Putin met with President of South Ossetia Leonid Tibilov"